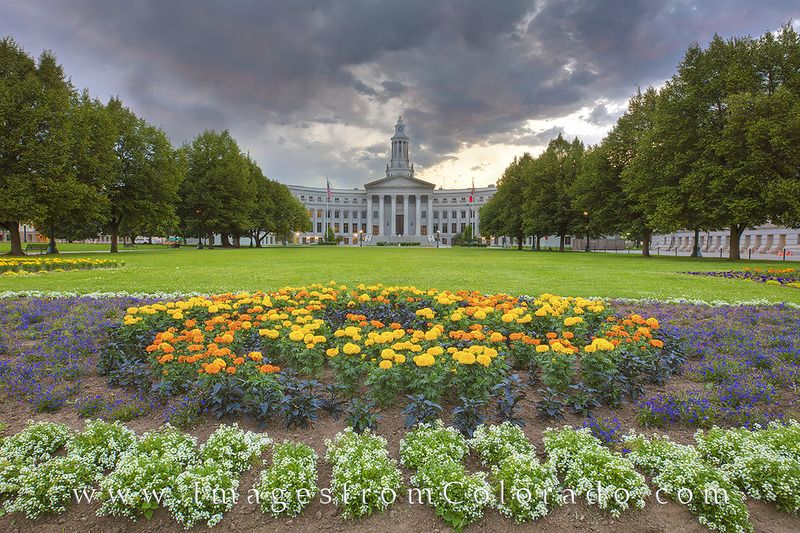 Colorful flowers fill the lawns in Denver's Civic Center. In the distance, opposite the Colorado State Capitol, the City and County Building rises into the summer evening air. As home to the state government, the arts, and Colorado life, this area is open and inviting for evening strolls. Photo © copyright by Rob Greebon.